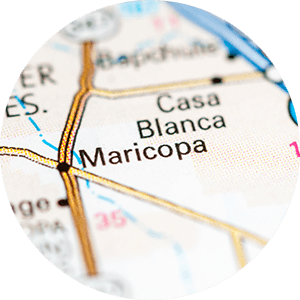 When driving into Maricopa on 347, Cobblestone Farms is one of the first subdivisions that you will see. 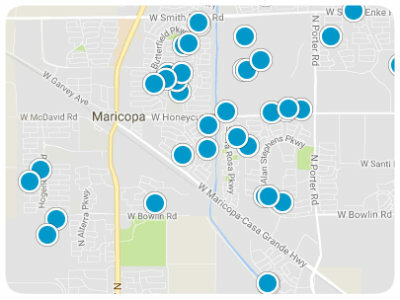 Located in northern Maricopa, it is close to shopping and dining, and also offers easy access out of town. Cobblestone Farms has close to 900 homes built by Fulton Homes. 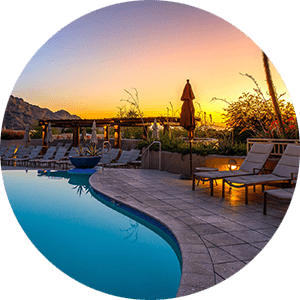 It includes a community pool and neighborhood pools, basketball courts, and tennis courts. The community is built around Center Park, displaying rows of palm trees, a lake, and fountains. 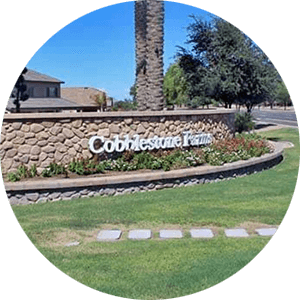 Homes in Cobblestone include entry-level homes, mid-sized homes, basement homes and luxury homes. Homes range from 1500-6000 square feet, so there is something for everyone!